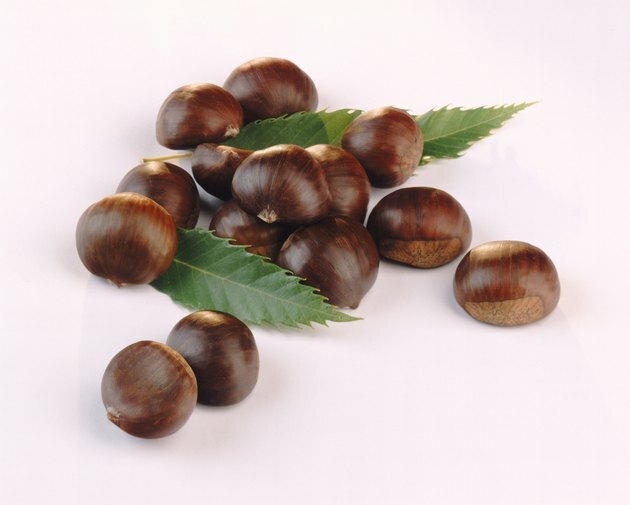 There are four different varieties of edible chestnuts: American, European, Chinese and Japanese. The chestnut tree is related to the beech and the oak tree. 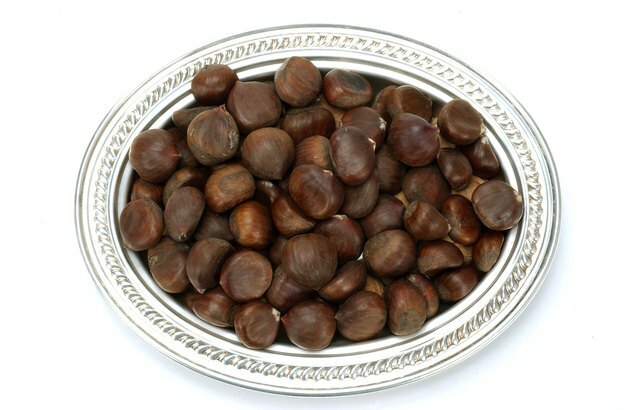 Chestnuts used to be the main starch staple in Europe until the potato was introduced. When edible chestnuts are boiled the nuts have a similar texture to potatoes, with a sweet nutty flavor. 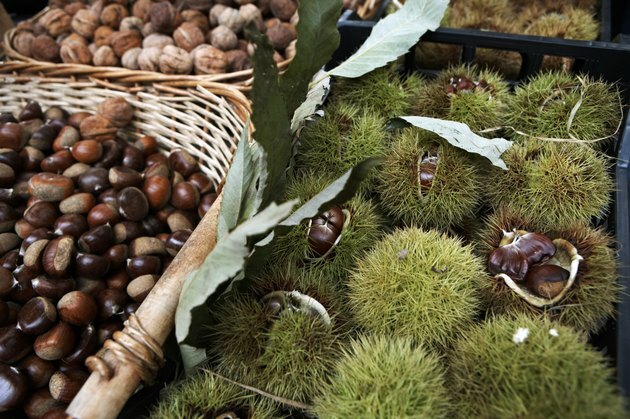 Now chestnuts are not as popular as they once were, but there are commercial farms to supply the demand. Mature American chestnut trees are rare in the wild due to infestation by the chestnut blight in the early 20th century. 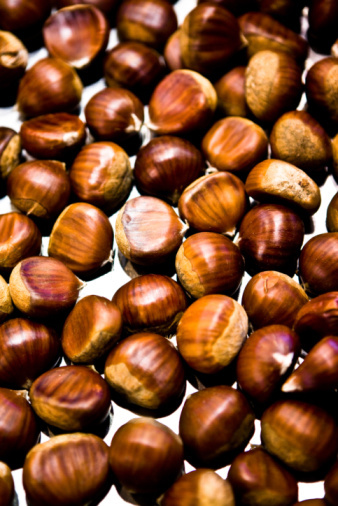 Edible chestnuts are encased in a spiny shell called a burr. To identify an edible chestnut in the wild is not very hard; you just need to know what you are looking for. 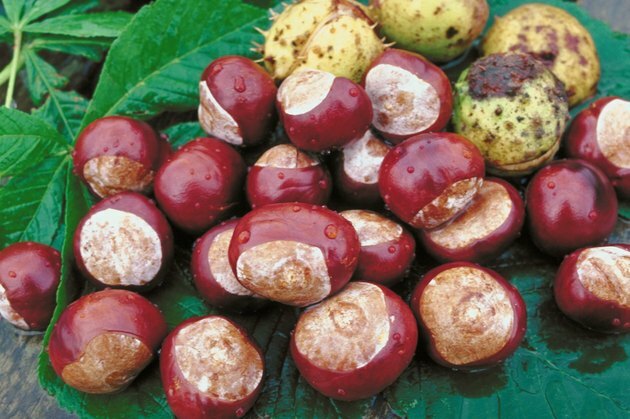 Impostors such as horse chestnuts and Ohio buckeyes, though similar in appearance, are not related to edible chestnuts; these seeds contain a poison in their raw state, so it is important to be able to distinguish them from edible chestnuts. Identify the tree that the chestnut has fallen from as a chestnut tree. It will have long oval leaves that are yellowish green, and yellow in the fall. On the leaves there will be small hooks that curve up all along the edge of the leaf. Ohio buckeye trees have similar leaves, but the buckeye leaves are usually grouped together in a fan of five leaves and turn orange in the fall. A horse chestnut tree has a rounder shaped leaf, and these leaves group together in a fan of about seven leaves. Observe how the fruit hangs from the tree. Edible chestnuts often hang in pairs or in threes or clusters. Look at the casing the chestnut is wrapped in when hanging on the tree. An edible chestnut is wrapped in a spiny case that is called a burr. The spines are long and fine. If it is an Ohio buckeye, the outer casing has many thick, knobby spurs. 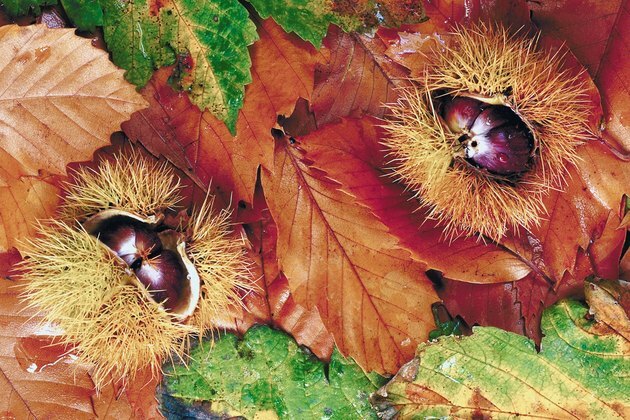 A horse chestnut's shell resembles the Ohio buckeye's but it does not have as many spurs. Remove the chestnut from the burr and look at the shape of the fruit. An edible chestnut will have a shiny brown color, a flat bottom and a point on the top. Non-edible chestnuts will not have this point at the top. Since 2003 Leigh Nichol has written for various publications including "The Sussex Countian" and "Horseman & Fair World." She was head of marketing and public relations for Winbak Farm and attended the University of Georgia for both her bachelor's and master's degrees in public relations. Nichol has her United States Trotting Association Trainers license and is considered a professional by the United States Equestrian Federation.